issues on the new firmware report!!! Hello guys, the u5 team want to know all the issues that your suffering on your u5 Deluxe on the last update, only like this they are able to solve the problems for the final release of atv 7.0. - Build OSCAM as an APK. a lot easier to handle and to maintain just like OSmegatool.apk or OScam Manager from Wetek. - And OSCAM Bin file should also needs to be accessible with any FTP software because as of today I have not been able to find a FTP software that can browse the root directory of the box. - Also provide a clear how-to compile guide for this box since this is an Android/Debian it is not that easy for me and the instruction from the github are not enough. I agree with Danny, the real problem in this box is oscam. All apps work fine, image qality is great. But all of this is useless without a working oscam. 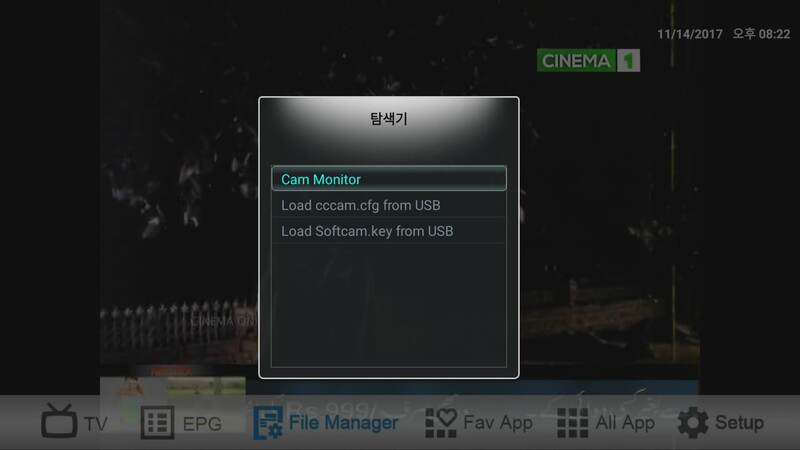 In LIVE TV App, Please press "Menu" and press "2580" then you can see "Explorer" ==> Cam Monitor, Load cccam.cfg from USB, Load Softcam.key from USB" , Use Cam Monitor to stop and restart service. this is in ATV5 is so also in ATV7?